In this edition of Weekly Focus APAC: Lazada Eyes SEA E-Supermart Growth with RedMart Integration; Alibaba’s Commerce Business Grows 40%; Singapore Launches Integrated Viewership Tracker; AirAsia Flies with AI-Powered Chatbot; and JD.com Takes Off with Drones in Indonesia. 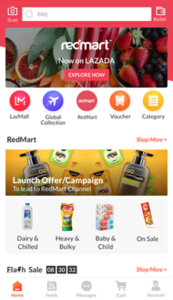 Lazada Group has unveiled plans to expand its supermarket business across Southeast Asia with the integration of e-grocer app, RedMart, into its online retail platform. 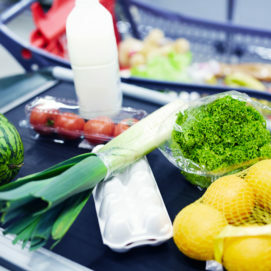 From 15 March, RedMart customers in Singapore will have to purchase their groceries and fresh produce via the Lazada website or app; although the company has promised to retain the design, tools, and functions of original platform. The integration comes more than two years after Lazada acquired Singapore-based RedMart in November 2016 and will see the online grocery platform launched in at least one other city from the second half of 2019, according to the company. With an inventory of more than 165,000 supermarket products, Lazada said it now was looking to tap the projected growth of Southeast Asia’s grocery market, which would be worth USD$309bn (£236.09bn) by 2021. It added that shoppers were purchasing their groceries online more than twice a month, with 7-in-10 people in Singapore doing so on RedMart. 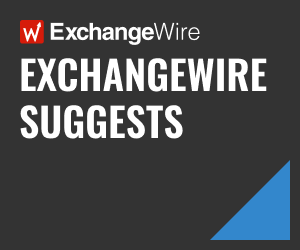 The expansion efforts would be led by RedMart’s co-founder Roger Egan, who was appointed Lazada’s head of supermarket and would be responsible for the launch and operations of the company’s supermarket business across Southeast Asia. Lazada currently operates in six markets across the region, including Indonesia, Thailand, and Malaysia. The Chinese online retailer’s commerce business has clocked a 40% year-on-year growth to hit ¥102.84bn (£11.65bn) in revenue for the quarter ended 31 December, 2018. Its overall revenue grew 41% to reach ¥117.28bn (£13.29bn), with core commerce accounting for 69%, according to Alibaba’s quarterly results. Annual active consumers on its China retail marketplaces climbed 35 million from the previous quarter to 636 million; while mobile monthly active users grew 33 million from September 2018 to 699 million in December 2018. Alibaba attributed more than 70% of the increase in annual active consumers to third- and lower-tier cities, crediting this push to its efforts in simplifying its interfaces, which it said appealed to a broader base of users. Tmall’s physical goods gross merchandise value increased 29% year-on-year, surpassing local industry figures based on China’s National Bureau of Statistics, Alibaba said. Revenue from its international commerce retail business for the quarter grew 23% year-on-year to ¥117.28bn (£660.42m), fuelled primarily by the consolidation of Turkey’s leading e-commerce platform, Trendyol. Alibaba further noted that revenue growth from its Southeast Asian e-commerce platform, Lazada, was slower than previous quarters due to a drop in revenue from its direct sales business. Brands and broadcasters in Singapore can now access viewership figures that reflect viewing patterns across multiple digital devices including TV, smartphones, tablets, and personal computers. The Singapore TV Audience Measurement (SG-TAM) system has been upgraded to track unduplicated TV viewership data and help advertisers and broadcasters understand cross-screen viewing behaviour, said industry regulator Infocomm Media Development Authority (IMDA). First introduced in 2016, the tracking system previously monitored viewership on TV and other digital devices separately. The government agency added that the system currently measures various online platforms, including Mediacorp’s Toggle, Channel NewsAsia, 8world, Berita, and Tamil Seithi, and it still was in discussions with other broadcasters and online-content owners to track viewership on their programmes. Operated by GfK, SG-TAM is commissioned by IMDA and is the official source of television audience measurement in Singapore. The regional budget airline has upgraded its website and mobile app to include a chatbot that it says is powered by artificial intelligence (AI). Called ‘AirAsia Virtual Allstar’ (AVA), the chatbot supports eight languages including Thai, Bahasa Indonesia, Simplified Chinese, and Korean, and features a live chat function that responds to guest inquiries. The updated website has a new homepage that AirAsia said was redesigned for “easier and faster navigation”, such as upcoming flight notice, search shortcut, and links to hotels and duty-free shopping deals. Apple iOS users also will be able to select their location of choice using an interactive map that highlights AirAsia’s flight destinations in a single page. In addition, they will be able to select the nearest departure and arrival airports on the mobile app as well as filter by number of stops and flight duration. AirAsia passengers will be able to sign up for the airline’s Fast Airport Clearance Experience System on the mobile app, allowing them to clear security and board their flight with less hassle. The system will take a five-second video of the user’s face via the My Account function. Its customers also can search for the lowest fares using the Low Fare Calendar, which has been integrated with the mobile app, according to the carrier. Its mobile app has 3.3 million monthly active users. The Chinese online retailer has wrapped up its first government-approved drone flight in West Java, Indonesia, where it delivered backpacks and books to students. The successful pilot could open the door for future commercial drone use in the country as well as Southeast Asia, subject to further regulatory approval, said JD.com in a statement. The flight test also was viewed by representatives from Indonesia’s Ministry of Transportation, Civil Aviation, and Air Navigation. JD.com launched its e-commerce operations in Indonesia in 2016 through its joint venture JD.ID, serving more than 20 million consumers locally and offering one million SKUs. It operates a network of 10 warehouses across seven islands, covering 483 cities and 6,500 counties. As Indonesia’s geography spans across thousands of islands, the deployment of drones to facilitate e-commerce deliveries and other logistics-related services will pave the way for more efficient and reliable services for consumers, JD.com said.